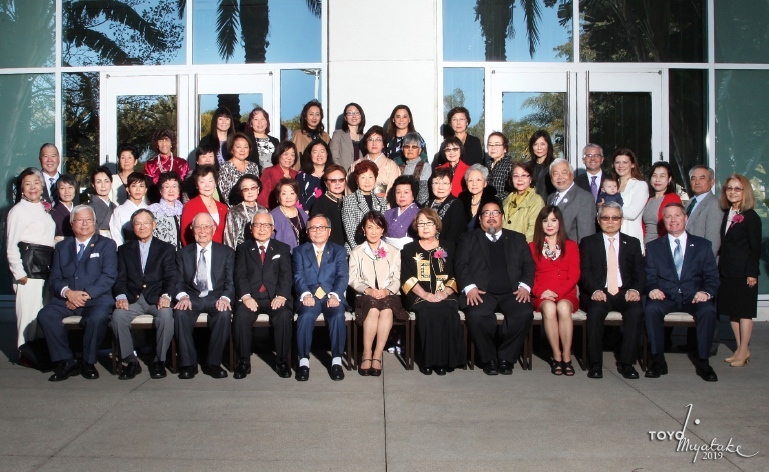 The Japanese Women’s Society of Southern California celebrated the new year at a luncheon at the Miyako Hybrid Hotel in Torrance on Feb. 16. This year marks the organization’s 115th anniversary. Established in 1904, the JWSSC is a nonprofit organization whose mission is to provide service to the community, share Japanese cultural heritage, and provide assistance to youth and those in need as it continues to build goodwill between the U.S. and Japan. President Itsuko Ramos welcomed guests including Yuko Chiba, honorary president and wife of Consul General Akira Chiba. David Yamahata, retired Los Angeles Fire Department deputy chief, and Masako Unoura Tanaka of Love to Nippon spoke to the gathering about the importance of disaster preparation.